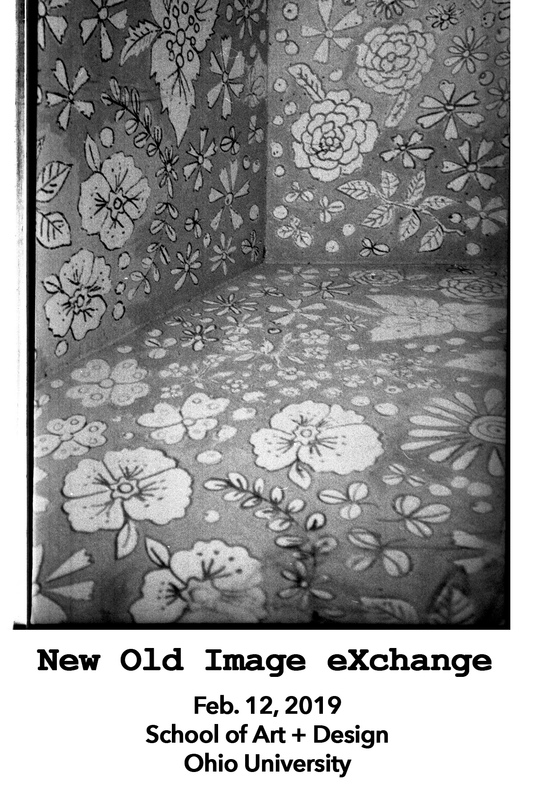 The School of Art + Design Presents the New Old Image eXchange, artist talks about forgotten photographs, with keynote by artist Carmen Winant, Free and open to the public, join us in Mitchell Auditorium, Seigfred Hall, Tuesday, February 12 for an afternoon and an evening session. More details at www.newoldimages.com. Keynote Speaker: Carmen Winant: Emerging artist and writer, Carmen Winant, was recently profiled in Vogue Magazine, whose work My Birth was exhibited at the Museum of Modern Art in 2018, and whose book My Birth named to top photbooks of theyear by TIME Magazine. Panelists include: Laura Larson, Kari Gunter-Seymour, Bernhard Debatin, Jonathan Johnson, Ray Klimek, Tammy Birk, Brian Harnetty (PhD ‘14), Cameron Granger, Becca Lachman, David Wanczyk, Josh Birnbaum (MA ‘10), Mateo Galvano (MFA ’14), Basil Masri Zada (MFA ‘14), Terence Reimer (MFA ‘20), and graduate students from The School of Art + Design.